Hello my lovely readers as you know (because I keep going on about it) I was in Tokyo at the end of May/ the beginning of June. I have been dreaming of going to Japan ever since I was little and it didn't just meet my expectations it completely blew them away. It is such an incredible city and culture and I know one day I will have to go back. Today I thought I would share with you what we got up for the first two days. 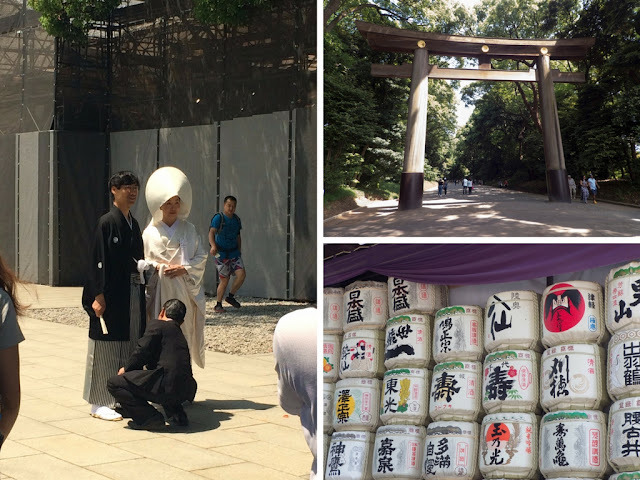 Meiji Shrine was dedicated to the Emperor Meiji who lead Japan into the modern era, encouraging Westernisation while still keeping Japanese tradition. Unfortunately the shrine was under construction but the surrounding areas were stunning and we were lucky enough to see a wedding! 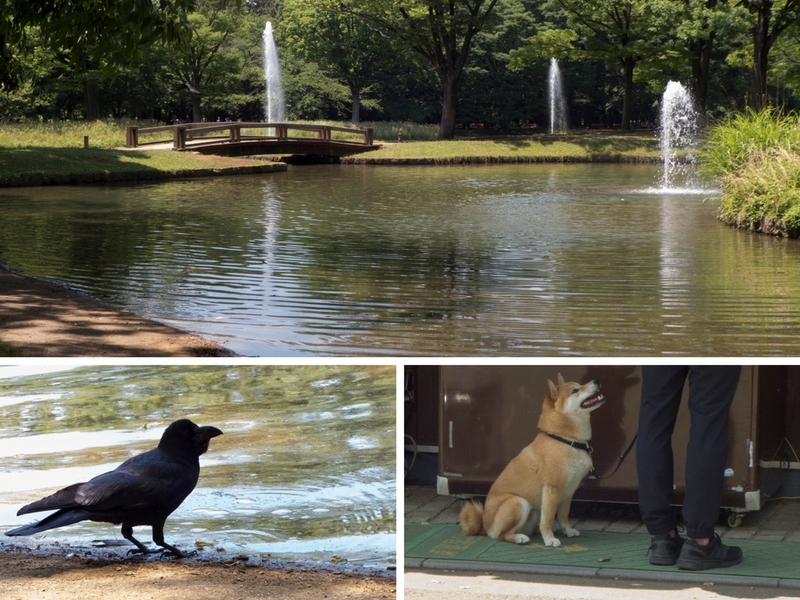 Near Meiji Shrine, Yoyogi is a beautiful park that is bliss just to sit in and watch and listen to the numerous crows and Shiba Inus going by. You'll also see a lot of locals doing various activities for example we saw: a huge group meditation and a man practising his tap dancing. Harajuku is the heart of Japanese fashion and youth culture. 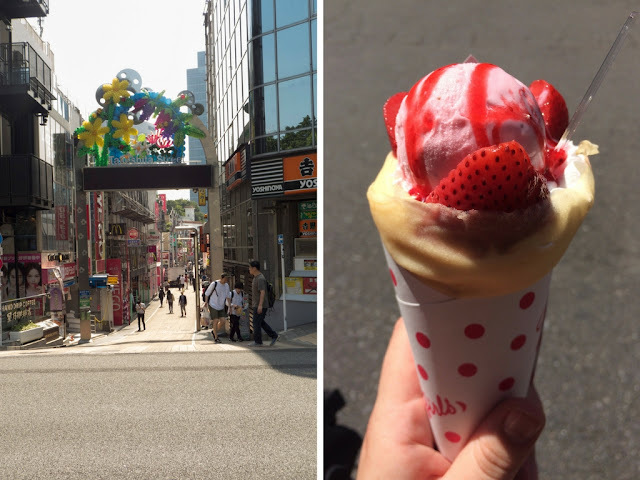 It was so busy that it was hard to move but it was perfect for people watching and obviously getting the famous Harajuku crepes, which definitely lived up to the hype. There is just so much to see in Shibuya, the highlights for me were the Shibuya crossing, which is believed to be the busiest crossing in the world. 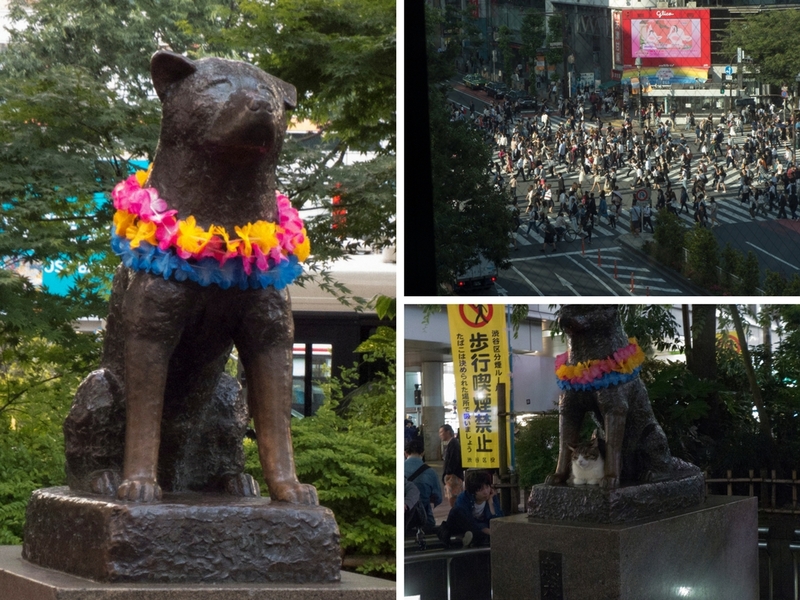 And the Hachiko statue was beautiful, if you don't know about Hachiko, Google him it's a sad and beautiful story. This Buddhist temple is often referred to Tokyo's ultimate tourist sight like Paris' Eiffel Tower or London's Big Ben, however comparing it to either of those seems tacky and distasteful. The temple is absolutely stunning and though I am not a Buddhist I felt so at peace there. 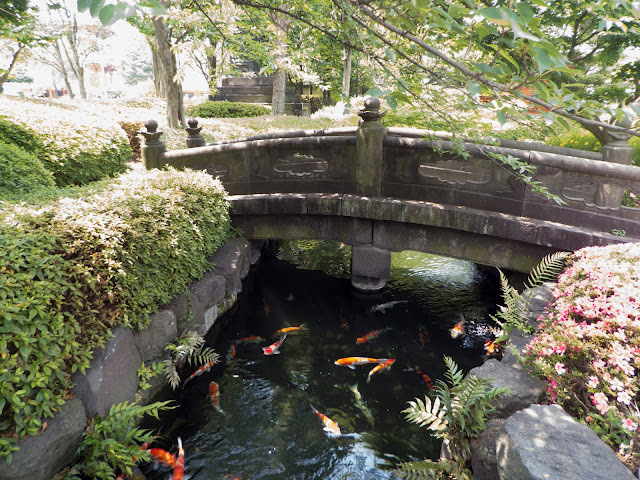 The gardens that surround the temple were beautiful and I could have happily stayed in them all day. 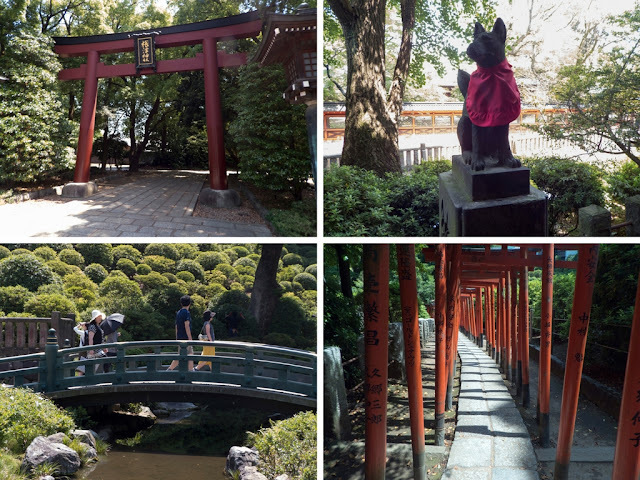 While researching Tokyo before our trip I came across this shrine and was intrigued by the fox guardians and thought that it would be just a little shrine. When we reached there I was blown away with just how beautiful and large it was. I'm so shocked that this isn't a more popular destination, Dan and I were the only tourists there. 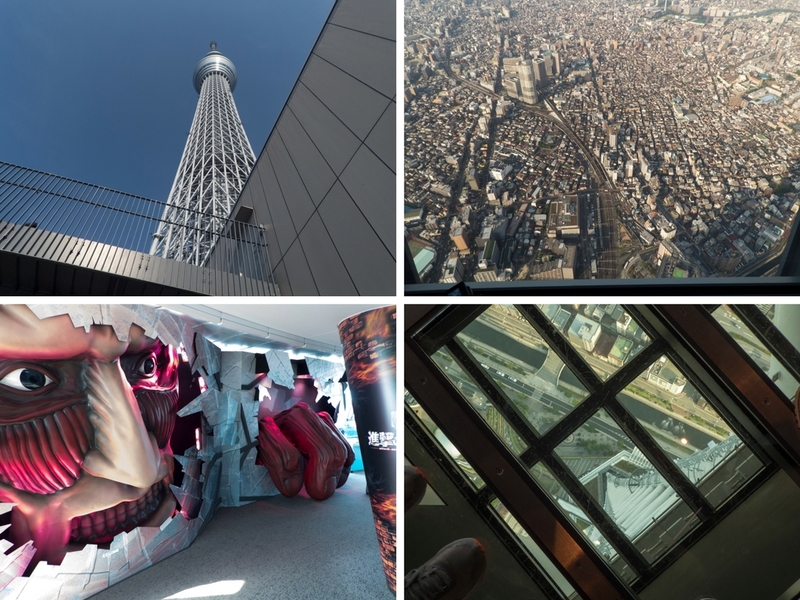 Yes, me, with my huge fear of heights went up the second tallest structure in the world. It was something I really wanted to do to prove to myself that I could and the view was well worth the fear. There was also an Attack on Titan (one of my favourite animes) event going on there so that just added to the experience. This is just the first two days of my time in Tokyo, the rest of the trip will be covered in upcoming posts. 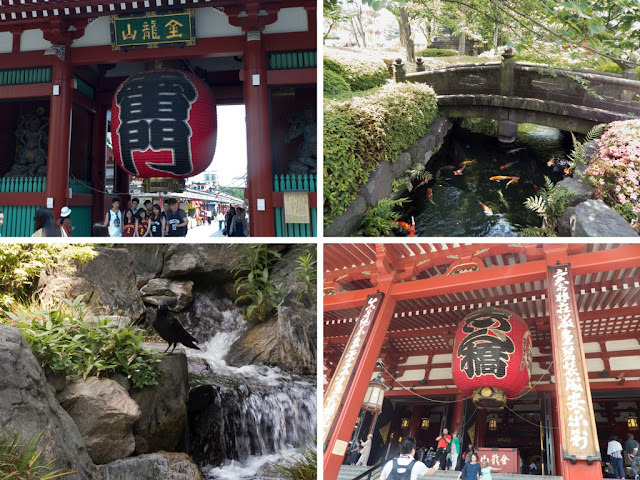 I hope you enjoyed this post, have you ever been to Tokyo? What did you get up to? Wow! i've always wanted to go to tokyo, looks like you had an aamzing time. And phwoooooooooar that ice cream!! Yes please!! I really recommend it, it's an incredible city! Thanks for stopping by! Lovely pix and I liked the description of each area, would be really helpful as a guide around the local parts. Would love to visit Kyoto, it looks magical! PS. Lost in Translation is one of my fave films too! I'm glad you enjoyed it and I would love to visit Kyoto too! Thanks for popping in! I've been looking at deals to visit Tokyo, it's so bloody expensive! I'm so jealous! It looks like such a cool place to visit! It really is! We only got it cheaper because our hotel was a dive (literally disgusting), I hope you get to go one day soon!